Pink in the Pool 2016 t-shirts are now available for preorder! 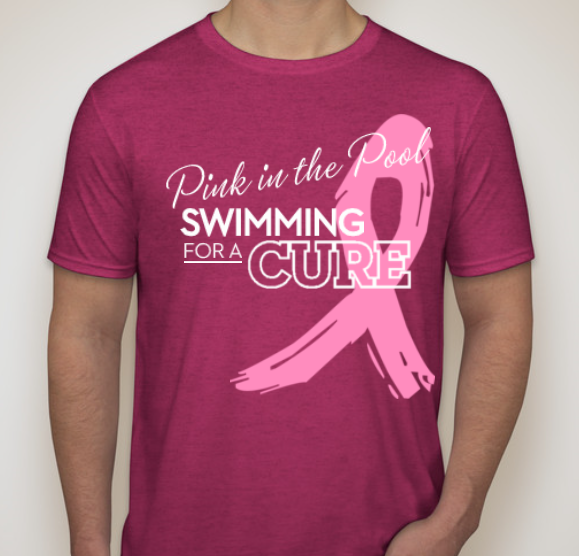 Preordering your 2016 Pink in the Pool t-shirts will save $2 off the day-of price! This year’s shirt features a new design for 2016 on the front. The back lists all of the names submitted under a heading “In Support Of”. Head to www.shop.southdmswimming.com to pick your size from the drop-down. Simply add to your cart and checkout. Just like previous years, we are asking for the names of family members and/or fans from any school who have been diagnosed with breast cancer to be honored on the back of the invite t-shirt. New for 2016 – submit your names via the web. Be sure to enter any name exactly as you want it printed on the shirt. Names will not be accepted after Sept. 14, 2016. All net profits from the sale of these t-shirts (and all other “pink gear”) will be donated to the Iowa Chapter of the Susan G. Koman foundation. Lincoln Athletics also decided to donate the profits from the gate as well!